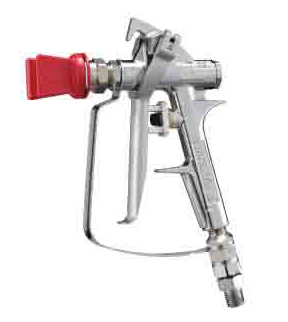 An airless spray gun for ultra-high-pressure coating jobs. Primarily for shipbuilding, bridges, and other difficult coating sites. A small mass of 375g and lightweight design helps you work long hours without getting tired. 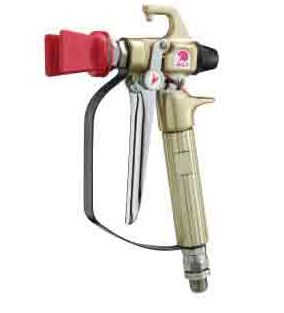 An easy grip and light trigger offers impressive controls. Special packing feature makes it 3 times more durable than conventional products. Lock feature provides a perfect fit for your fingertips, for easy grip and handling.